Starfall is useful for kindergarten students beginning to learn letters and sounds, words and with reading. One can research many topics including biographies of famous people, science fair projects and other information to explore such as reference with homework help, Art and Music, Math and Science, Sports and Recreation, Fun Stuff, and Reading with online books. The IPL will no longer be updated after 20 years, but the information is still valid. DOGOnews.com is a leading source for current events, news, and non-fiction texts across a variety of categories and grade levels. Students can discover articles of interest and post comments based on their reactions to the content, all within the confines of a kid-friendly ecosystem. Scholastic offers movies about books, popular movies and TV shows, and music videos. Enter this website to find the periodic table of comic book characters. On the site, the students can read online books, there are quizzes to take on the books, and the first month is free and then $4.99 a month, and it can be cancelled at any time. There are some books that say read to me so it is read to the students and they can follow along with the story. Educators can create a free account. READTHEORY is a free site with many nonfiction texts with questions asked about the text. Click on the above picture and it will take you directly to the site to sign up as a student. Directions from READTHEORY.org to begin, we'll need you to answer 10 questions to the best of your ability. Then you'll be able to start earning points and achievements in the main area of our program. Just keep in mind that we strongly discourage you to receive outside help on your pretest, as this may skew your results and make our program less effective. Just do your best and remember that you're a star! Answer the questions using the information presented in the passage and your own critical thinking skills. Note that you will never be asked to rely on information existing outside the passage. There are quizzes to take over the information read and it contains the grade level of the passage. Students can track their progress on their account. Click on the above link to head to Seussville - the land of Dr. Seuss. Welcome to the world of Dav Pilkey famous for his Captain Underpants series. Do you love Junie B. Jones? Check out her website. Do your students need help with spelling and vocabulary? Funbrain consists of educational games geared to math and reading. Need to learn about money? Play the Free Rice game on vocabulary to donate grains of rice for World Hunger. 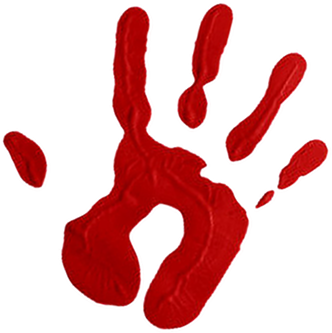 Select the hand print above to find out information on the Five Finger Rule. The Five Finger Rules is a quick and easy way to determine if a book is the right book for you. This page also provides videos for students, parents, and caregivers to help them determine if the book is "Just the Right Book."